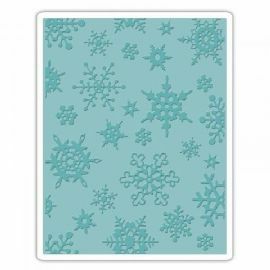 Sizzix-Texture Fades Embossing Folder. This folder will add a deep, bold emboss to cardstock in just seconds! Compatible with most die- cutting machines (not included). This package contains one 4-1/2x5- 3/4x1/8 inch folder. Folder will also fit A2 Cards.